For every Avengers movie that makes a bazillion pounds at the box office, there are at least 5 movies that bomb harder than an overweight gent trying to frontflip off a diving board. Not many films inspire their own religion or annual festivals nearly 20 years after their release, but The Big Lebowski is a special kind of film – the definition of a cult classic. Like most cult classics, it didn’t do too well at the box office; it made $17 million off a $15 million budget in the US. Yep, the #1 movie on the IMDB 250 was a box office flop. 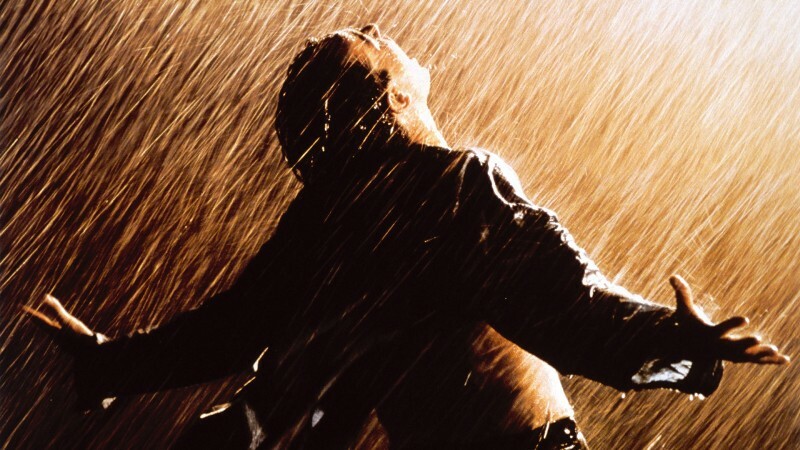 Released in 1994, The Shawshank Redemption scraped $16 million at cinemas off a $25 million budget. It was 1994’s 51st highest grossing film, behind classics such as Timecop, Junior (the one where Arnie’s pregnant) and Street Fighter. Luckily, The Shawshank Redemption has made a bucketload of cash since. A 1995 re-release drew in $28 million, while DVD sales and TV licensing has brought in an estimated $100 million. Take that, Timecop! The beloved kids’ classic made about $4 million when it was released in 1971, which probably played a part in Paramount letting their rights to the film expire in 1977. However, Warner Bros saw some potential in marketing a film about chocolate rivers to children and picked up the rights for a pittance. Since then, Willy Wonka and the Chocolate Factory has made an absolute killing for them: a 1996 re-release made $21 million (over 5 times the original box office), while home video and TV licensing is still bringing home the chocolate-flavoured bacon. Surprisingly, one of their biggest successes was the divisive Johnny Depp remake; it made a ridiculous $474 million at the box office. Martin Scorsese isn’t renowned for family friendly films, which might explain why Hugo is one of the biggest movie flops ever. Despite being nominated for 11 Oscars and scoring an impressive 94% on Rotten Tomatoes, the film is estimated to have lost between $60 – 97 million. Sadly, unlike the other films in this list, Hugo has yet to have its financial redemption. Only time will tell if it becomes a classic or gets lost in the vast stream of good-but-forgotten flicks. Before he was crossbow-wielding zombie slayer and all-round badman Daryl Dixon, Norman Reedus was best known as one half of the Boondock Saints, a pair of Irish American vigilantes on a mission from God to rid the world of baddies as violently as possible. Unfortunately, not many people caught the film when it was in cinemas as it was only shown on 5 screens in the US over the course of a week. It made $30,741, which doesn’t sound bad until you consider it cost $6 million to make. Luckily, it’s since made around $50 million from DVD sales alone. The 1998 adaptation of Hunter S. Thompson’s drug-fuelled novel managed to scrape $10.6 million at the US box office; it cost $18.5 million to make. We imagine that most of that has been recouped off DVD sales and countless posters adorning student walls, though. In fact, the subsequent success of Fear and Loathing… allowed Johnny Depp to make another film based on Thompson’s work, The Rum Diary. It flopped. Moving house, or just need a bit more space in your home? Sell DVDs with musicMagpie. Just click the button below.